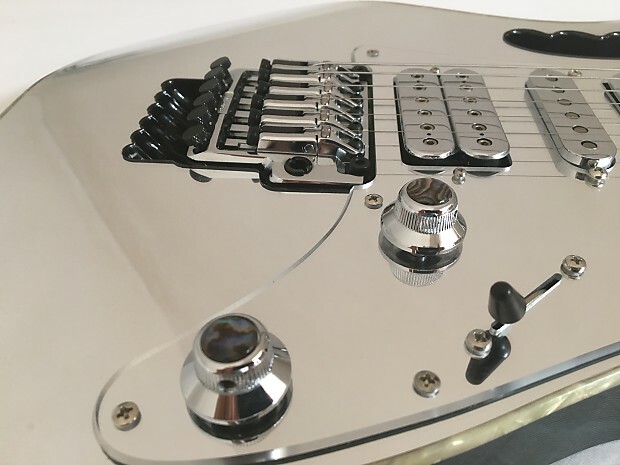 Named "Bad Horsie" after a Steve Vai song of the same name, the guitar features a "Rock Mirror" finish with matching mirror pickguard. 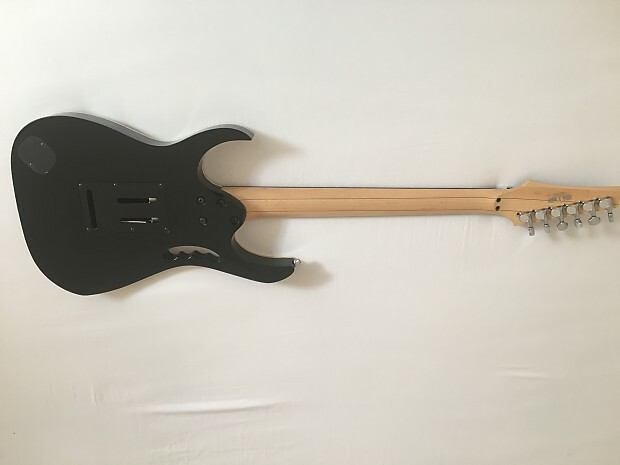 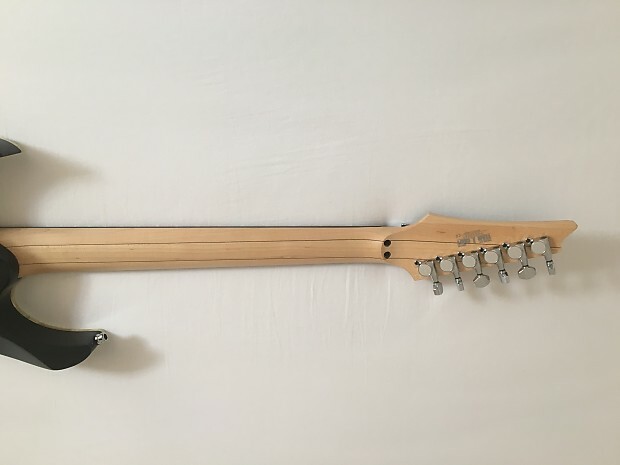 This model also features the signature JEM appointments of a "Monkey Grip" handle carved into the basswood body and a scooped tremolo cavity so pitches can be raised as well as lowered with the tremolo arm. 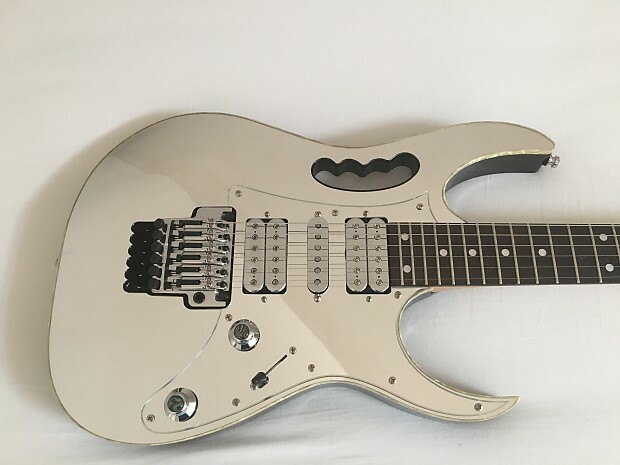 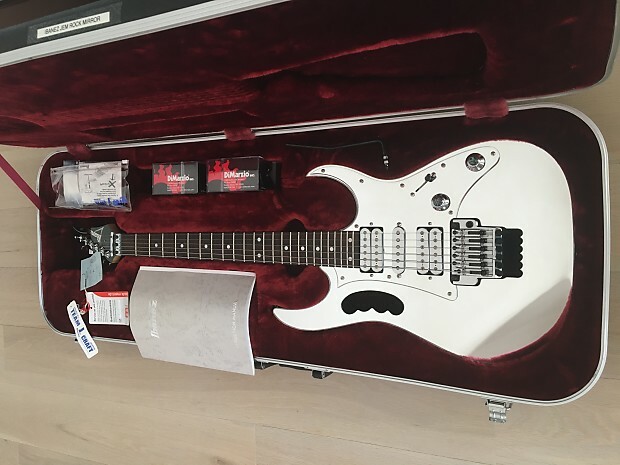 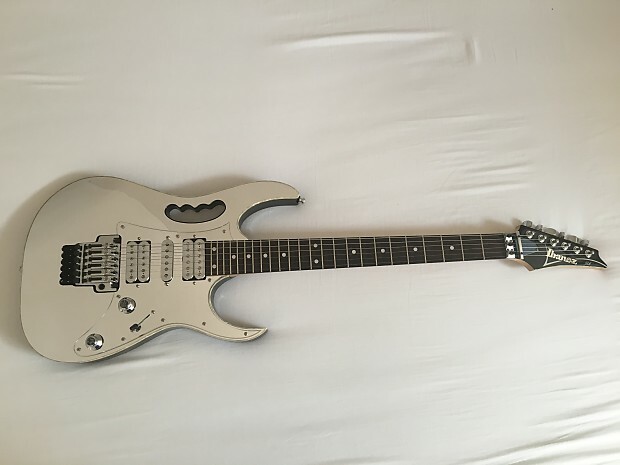 Bad Horsie joins a long line of variations of Steve Vai's JEM signature models, which were first introduced at the Chicago NAMM show in June 1987. 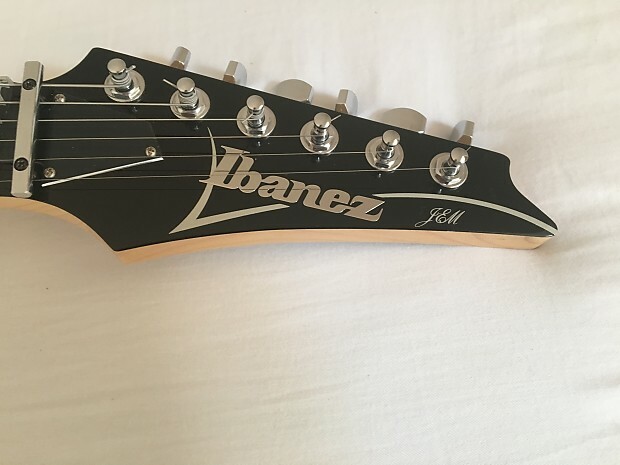 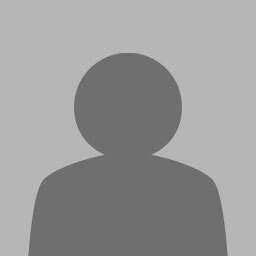 The guitars are considered some of the most important instruments in the history of the electric guitars. 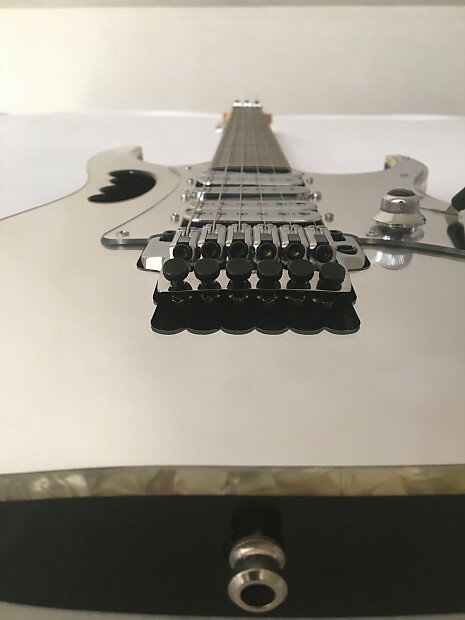 Many JEM collectors own one of every model ever made. 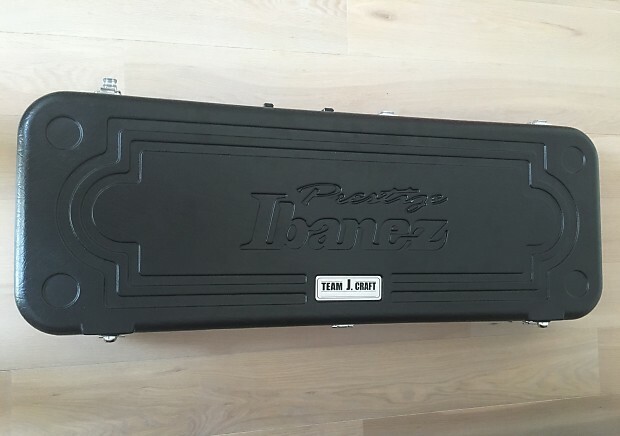 A hardshell case (J Craft) is included. 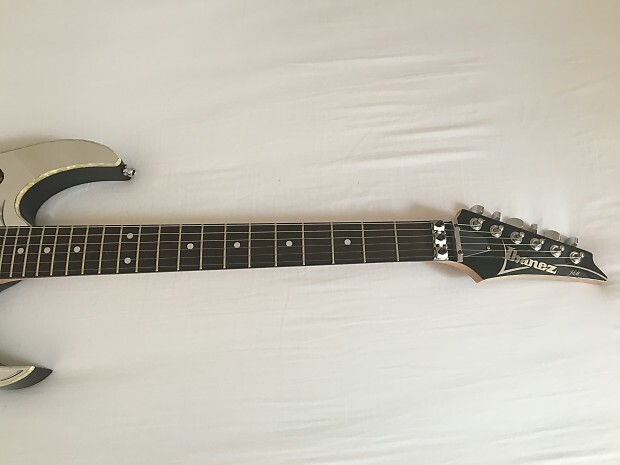 This guitar is as new! 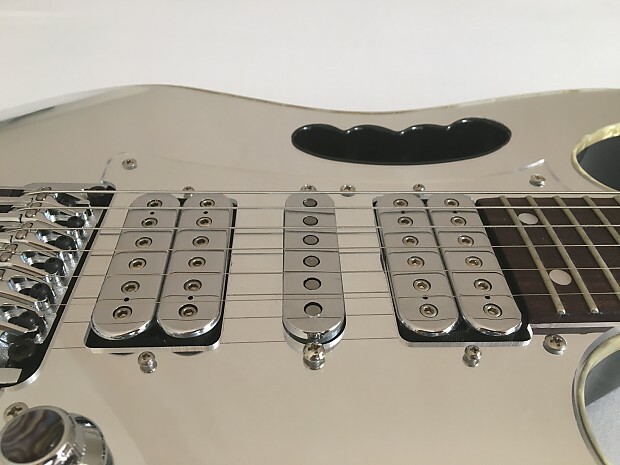 The pickups and control knobs are customized to get a total mirror look (with Dimarzio PAF Pro chroom pickups), but the originals are included. 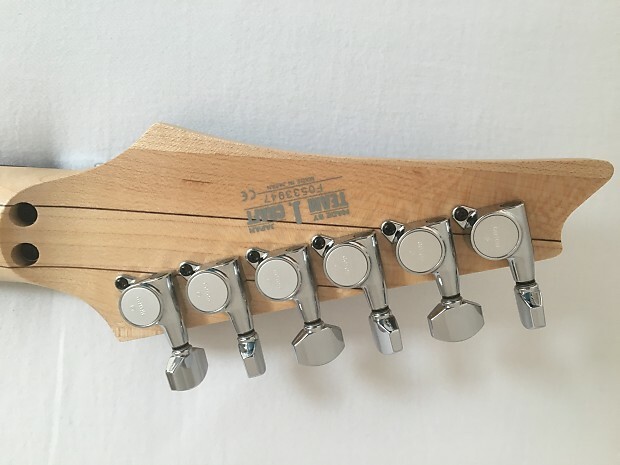 Neck type/neck scale: JEM Prestige/25.5 in. 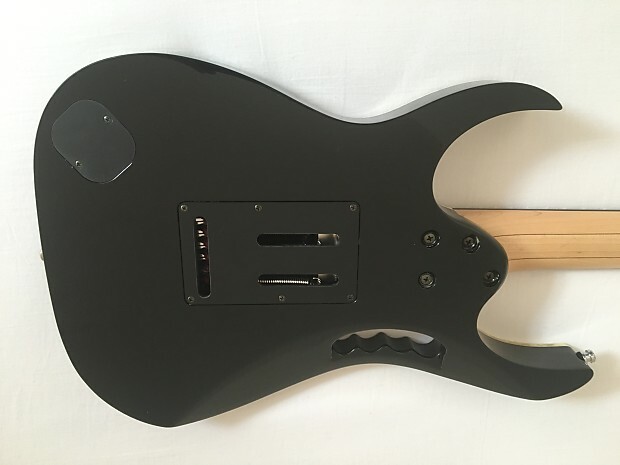 Other special features: clear pickguard, Lions Claw tremolo cavity, Monkey Grip.